Njut av den spektakulära solnedgången i våra ljusa stranden teman villa med utsikt över våtmarker. Våra två sovrum och två badrum villa ligger inom Errol Estates ger enkel tillgång till alla centrala Florida har att erbjuda. Njut av utflykter till Disney, Universal, Busch Gardens eller en av de många stränderna i området. Wekiva Springs State Park ligger precis runt hörnet offer; paddling, vandring, ridning och mycket mer. Varje sovrum i denna härliga villa är inredd med två dubbelsängar och ett badrum. We loved the beautiful sunsets and the wonderful water birds in the pond in the backyard. Large bedrooms with 2 queen beds in each bedroom. Some nice updates done, but more updates are needed. Exercise at no extra charge walking up hill to the parking lot, but there is a close 20 minute parking pad for unloading. Owner/manager is easy to work with. Easy place to stay, conveniently located for lots of recreation. Nice and quiet end unit. We'd stay here again. Thank you , Joe. This villa provided a beautiful vacation spot for visiting family and the owners were a joy to correspond with. Lots of space to spread out and conveniently located in the heart of Errol Estates in Apopka. We would definitely recommend! This place was the perfect get away for our family. We were down in the area visiting with family- a lot of family- so this was a welcome retreat for us. 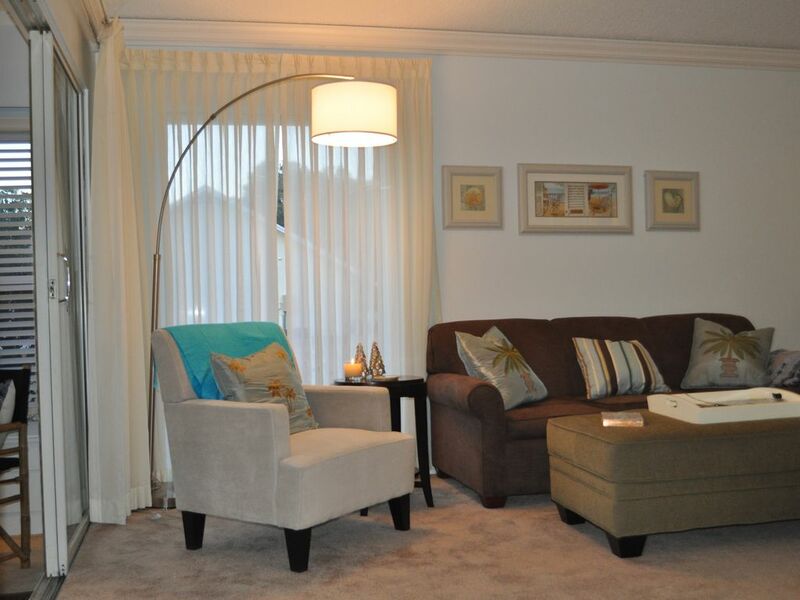 The space is bigger than it looks in the pictures and is tastefully decorated. The kitchen is well stocked and even included spices for cooking. The space looks out into a small pond and was bright and cheery. As others have mentioned, parking can be a bit of a pain. But, they’ve got a 20 minute parking right out front for loading and unloading. And we are walkers so we didn’t mind it much at all. All in all it was perfect for our needs and we would gladly return should we be in the area again. Great villa. We enjoyed our stay! Great Villa! We enjoyed our stay! Very clean! It we great super comfy. Adorable. We would love to go again.